Dallas in Texas is better known as a key location for collectible car auctions than it is for anything related to arts and culture. But that might be about to change as the city’s burgeoning art scene continues to grow and develop, further cementing and establishing Dallas as one of the most vibrant and potentially influential centres for art in the entire United States. If the rapid rise of the Dallas Art Fair is anything to go by, Dallas is a city to watch. 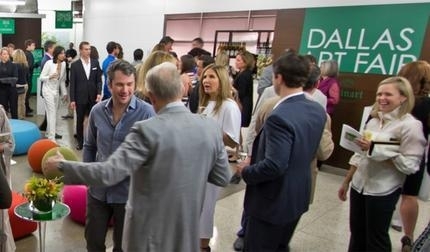 Launched in 2009 in the wake of the Global Financial Crisis – what must have seemed like an almost insurmountable obstacle – Dallas Art Fair not only managed to fly in the face of the challenges it faced, its inaugural edition was hailed a major success. Dallas Art Fair 2017 welcome more than 30 new exhibitors, including the likes of world renowned galleries Gagosian Gallery (New York/Los Angeles/San Francisco/London/Paris/Rome/Athens/Geneva/Hong Kong), Lehmann Maupin (New York/Hong Kong), Simon Lee Gallery (New York), Skarstedt Gallery (New York/London), and Shane Campbell Gallery (Chicago). Dallas Arts Week will return with an enticing program of events including a Pierre Huyghe solo show at the Nasher Sculpture Center, exhibitions featuring Pia Camil, Taryn Simon, and Keer Tanchak at Dallas Contemporary, “México 1900–1950: Diego Rivera, Frida Kahlo, José Clemente Orozco, and the Avant-Garde” at the Dallas Museum of Art, and a solo Billy Childish show at the Goss-Michael Foundation.